I've got an apostille and bottom line says: "...this apostille is not valid for use anywhere within the United States of America..."
Is it applicable for all countries signed the "Apostille Convention" or just US? upd: The document is a birth certificate. 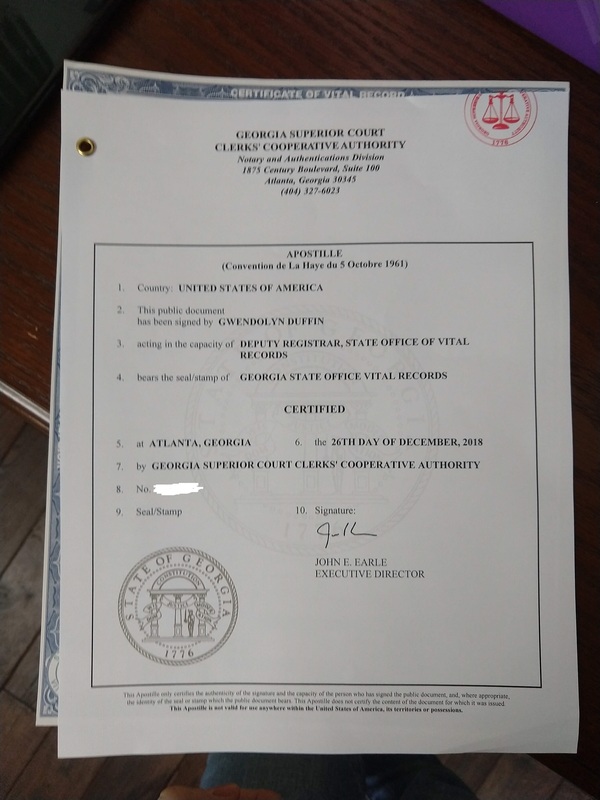 Apostille was done in Georgia US. An apostille is a certification set up by a treaty, to streamline the recognition of documents that were created in one country but used in another. The text of the treaty is available online. I don't know the specific reason it can't be used within a country, or even if the assertion Hedgehog mentioned is even true. But certainly the treaty establishing apostilles was not signed for the purpose of getting documents recognized within the country where they were created. If you describe the type of document, the US state where it was created, and the US state where it is to be used, someone may know what requirements exist to make the document acceptable in the state where it is to be used. It may also matter what agency will be receiving the document; an office of vital statistics might have different requirements than a court. The apostille is not valid in the US because it has no meaning in the US. Its purpose is to certify to the authorities of other countries that the signature and seal on the birth certificate are authentic, and that the person who signed the document does in fact hold the office stated on the document. But only the apostille is invalid inside the US. The birth certificate itself is perfectly valid. As the other answer notes, however, the apostille and its disclaimer of validity in the US could confuse people, leaving you to explain to them that the apostille is irrelevant for use in the US. It might be easier to avoid that by getting another copy without an apostille. Not the answer you're looking for? Browse other questions tagged united-states legal-history or ask your own question. Does my birth certificate count as a “U.S. Certificate of Citizenship”?